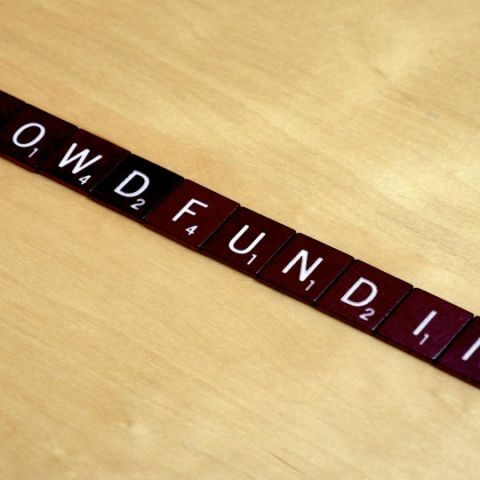 These crowdfunded projects are definitely worth your money, and you can get your hands on them right away! In the recent times, some crowdfunded projects and products have become immensely popular and some of them have even gone on to become successful mainstream products. And that success, in turn, has inspired some really cool crowdfunded projects that just make you go like “take my money right now!”. So without further ado, these are the amazing ongoing crowdfunded products that we absolutely love. In this era of smart homes and devices, the BIG-i can manage your smart appliances to best suit your needs. BIG-i works by receiving your requirements through voice programming. It then translates that into text through speech recognition. The BIG-i can understand trigger conditions and act accordingly. The BIG-i learns and improves itself, becoming more intelligent with instructions. 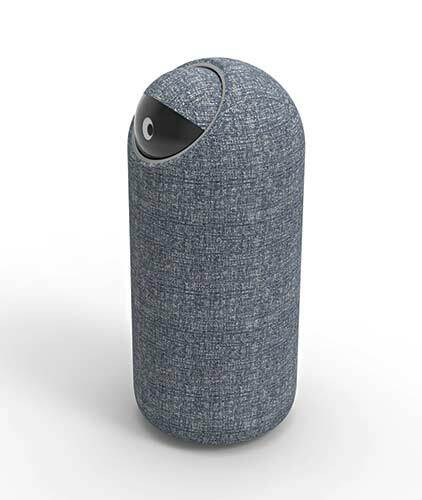 The BIG-i has face recognition, 3D vision, smart home integration, light intensity detection, video calling, voice programming, sound localization, face recognition and motion tracking among other things, there’s a lot packed into this robot. You can get yourself a BIG-i from their Kickstarter crowdfunding page by pledging $749 or more. It’s expected to ship by April next year. 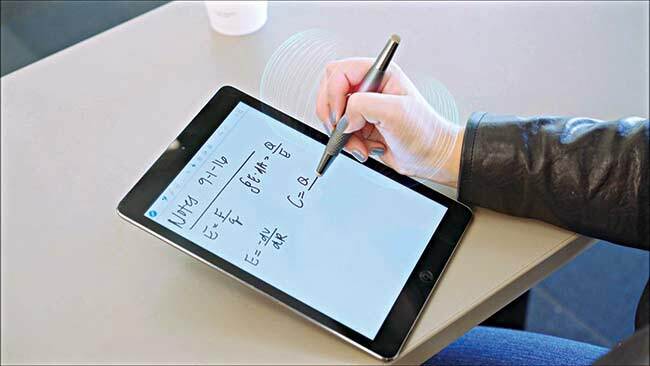 At a glance the Flip looks like any other stylus, but with Flip you don’t have to worry about charging your stylus or even connecting it to your tablet via Bluetooth. It knows what you want it to do and it’s easy to use. Messed up while drawing or scribbling? No worries, just flip it over and it’s now an eraser. The Flip is powerful enough to be used professionally by digital artists, and it comes with interchangeable tips. Some of the tips included are the TruGlide Mesh tip, the Artist Brush tip and the Precision Cross tip. The Flip comes with palm rejection as well, so you can rest your palm on the screen of your tablet without worrying. Flip knows the exact location of the stylus tip on the screen and can reject anything else that may be touching the screen. The Flip has a hover and zoom feature, allowing you to add more detail. The Flip also comes with a free app called Flip Notes for drawing and note taking. If you want of your own, you can still back Flip’s (haha) crowdfunding campaign on Kickstarter and get one. The MagBolt is a 2-in-1 magnetic connector that works for both Android and iPhone devices. One of the MagBolt’s variants comes with full support for the new iPhone 7, which means support for both audio and power through the same connector. It’s easy to connect and supports fast charge as well, so you can use 2A max current throughput for your devices. With the MagBolt you can synchronise and transfer your data and files while simultaneously charging your phone, and it’s also dust and water resistant. 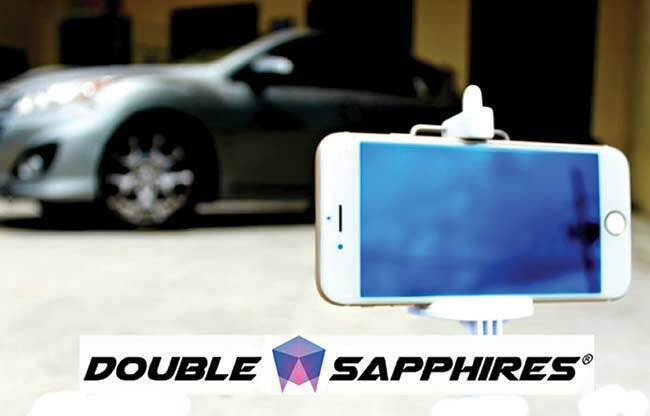 The MagBolt is unobtrusive and small, it won’t snag or get caught anywhere and works with almost every phone case. Shipping starts in December. The Ecomo is a smart bottle that not only knows what’s in your water, but can also make it safe to drink. It’s also trying to reduce the usage of plastic bottles and save the environment at the same time. An Ecomo can theoretically save approximately 228 plastic bottles in three months! How it works is simple, shake the bottle to test the water, then twist to filter the water and make it safe to drink. It has a 3-in-1 filtration system which means you can refill your Ecomo from pretty much any water source. 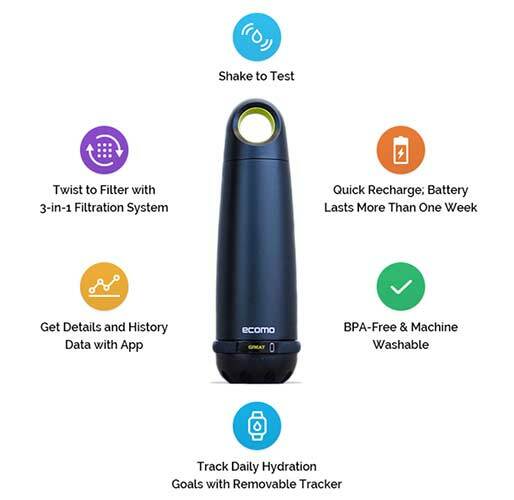 The Ecomo also comes with its own app where you track your filtration history and other data and a wearable activity tracker with hydration alerts. It’s also compatible with FitBit and Apple Watch. The Ecomo recharges quickly and lasts over a week on full charge, it’s BPA-free and machine washable. Look for Ecomo’s crowdfunding campaign on Kickstarter to support it or maybe even get one for yourself. The CamBuddy Pro is a powerful solution to remotely control your camera through your smartphone. You remotely control your camera from up to 100 feet away over Wi-Fi. The pictures and videos you take can be instantly transferred from your camera to your smartphone, so you don’t need to use a desktop as a bridge. The CamBuddy comes with a built-in intervalometer to help you with time-lapse photos. 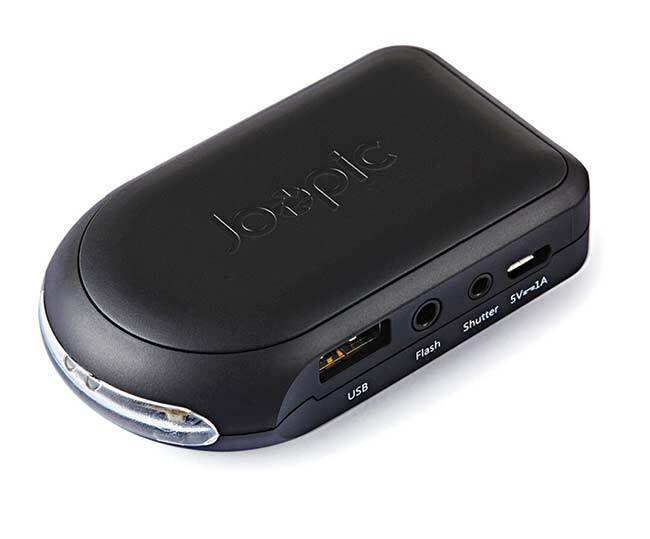 It’s small, but packed with features like a light sensor, sound sensor, laser detector, and a radio transceiver to help you with your photography. It works with most popular DSLR cameras, allowing you to view live footage on your smartphone and adjust parameters. The CamBuddy Pro comes with its own free app – Joopic – with which you can control the CamBuddy and adjust settings. Thanks to its four built-in sensors you can easily and quickly capture high-speed moments. You can connect and control up to 128 cameras for some matrix-levels of photography. You should definitely consider checking the CamBuddy Pro out if you’re a budding photographer yourself. In a world where everything happens online, the feeling of playing a game like Chess on a real chess board is a rare one. 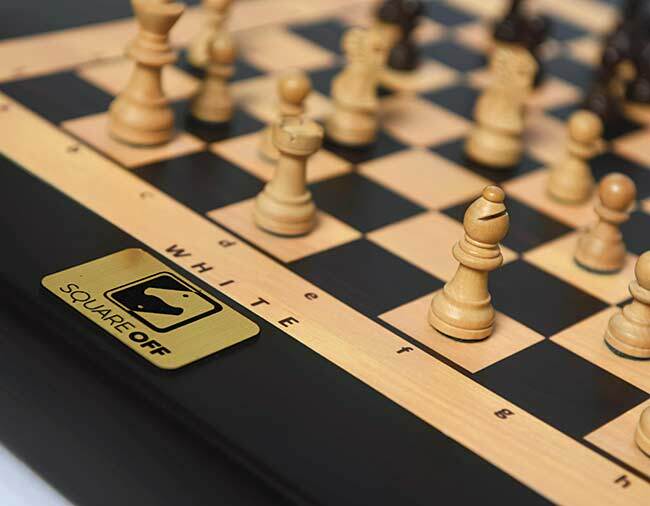 Alessandro Didonna aims to change that with Square Off, an evolved and smart chess board. With Square Off you can play a game of chess against anyone from around the world! Square Off is automated and designed to precisely reflect your opponent’s moves. Square Off comes with multiple playing modes. Square Off mode: challenge anybody from around the world, board vs board or board vs app. Training mode: play against the AI with up to 20 different difficulty levels, and lastly Live streaming mode: record and play your matches in addition to being able to watch any match, worldwide. You can crowdfund Square Off on Kickstarter with the Super Early Bird Offer at €179 (Rs.13,100/- approx). Smartphones are getting crazy expensive these days, so it’s in everyone’s interest to protect their own phones. You’d obviously want the best protection for your devices and the Double Sapphires screen protectors might be just the protection you need. The Double Sapphires screen protector is dubbed so because it comes with a double layer of modified glass. It’s got two Nano coatings, oleophobic, and photosensitive coats. The structure has been worked on at a molecular level to make it stronger and more resistant with the addition of Aluminium Oxide(Al2O3). It also takes almost three times longer to make when compared to tempered glass. It’s available for Apple’s iPhone 5, 5S, SE, 6/6s and 6/6s Plus, 7 and 7 Plus variants, and on the Samsung side of things, the Galaxy S5, S6, S7, Note 4, Note 5, and Note 7 (RIP). The crowdfunding campaign is still live on Kickstarter so feel free to head there and back them. 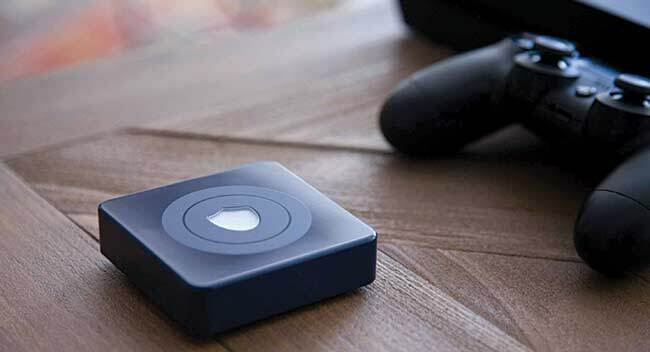 Betterspot is a router with built-in VPN for secure surfing. With the need for secure browsing and surfing, VPNs and VPN routers are becoming increasingly popular. There are several VPN services available but it’s hard to find a VPN app or service that works with all your devices and platforms. Betterspot can easily connect to these devices, be those tablets, smartphones or laptops. Not only that, it’s also compatible with several operating systems, like Windows, Ubuntu, OS X, Android, iOS, BlackBerry etc. You’re no longer bound by geo-restricted channels or fears of being monitored or tracked, and you get unrestricted access to all streaming services with Betterspot. It comes with an app of its own as well through which you easily control using your smartphone and access several other settings. If you want to back Betterspot’s crowdfunding campaign and maybe make your browsing sessions more secure and free, you can still do so on their Kickstarter page. The Leafboard is a light and stylish electric skateboard. Weighing at only 4.4 kg, it could arguably be the lightest electric skateboard in the market today. The Leafboard can reach speeds of up to 30.5 km/h and has a single-charge range of 18.5 km. Its light weight makes it easy to carry around and convenient for short trips. There’s also a backpack designed specifically to carry the Leafboard around with all your other daily accessories. The Leafboard doesn’t use the traditional skateboard deck size and trucks, it instead uses a 9.5-inch wide deck and 6-inch trucks. This design was incorporated with the help of experienced skaters to ensure it was easy to kick and stop and keep long range rides comfy. 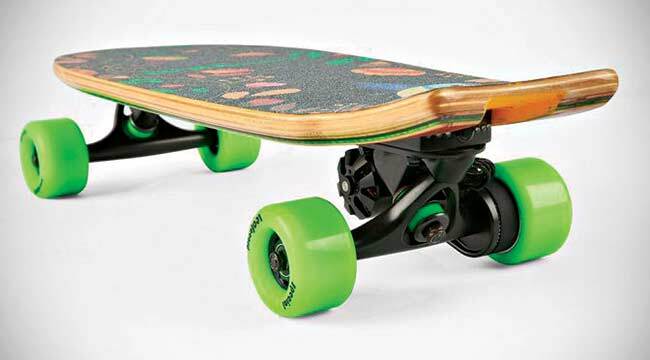 The longboard dimensions – deck width and trucks – make the Leafboard more stable as well. It’s water resistant, charges pretty fast, and even has a portable charger on it to charge your other devices. Leafboard is expected to ship out in January next year, you can still back them on Kickstarter, and Tony Hawk your way around in your neighbourhood on it. The Airblock by MakeBlock is a modular and programmable drone aimed at starters. Thanks to magnetic attachment and modularity, how you build and use the Airblock is entirely upto your imagination. Not only is the Airblock a cool gizmo to toy around and play with, it also incorporates the basics of engineering and physics. This also makes it a great and fun way to get kids into programming at an early age. The Airblock let’s you build, code, and fly it the way you see fit. Since the Airblock is programmable, you can actually do some cool aerial stunts with it as well. It’s made of a lightweight plastic foam material, which is both soft and durable, making it safe for kids to play with and at the same time, indoor friendly. You can fly and control the Airblock via an app which supports both Android and iOS. The Airblock retails for $149 (Rs.10,000/- approx) but you can get it for less by visiting them on Kickstarter. Happy flying! This article was first published in November 2016 issue of Digit magazine. To read Digit's articles first, subscribe here or download the Digit e-magazine app for Android and iOS. You could also buy Digit's previous issues here.